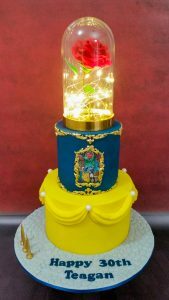 I’ve come across a number of articles giving a high-level explanation as to why custom cakes are so expensive. But if you’re a bit like me – you kind of want to see where your money is going exactly, right? 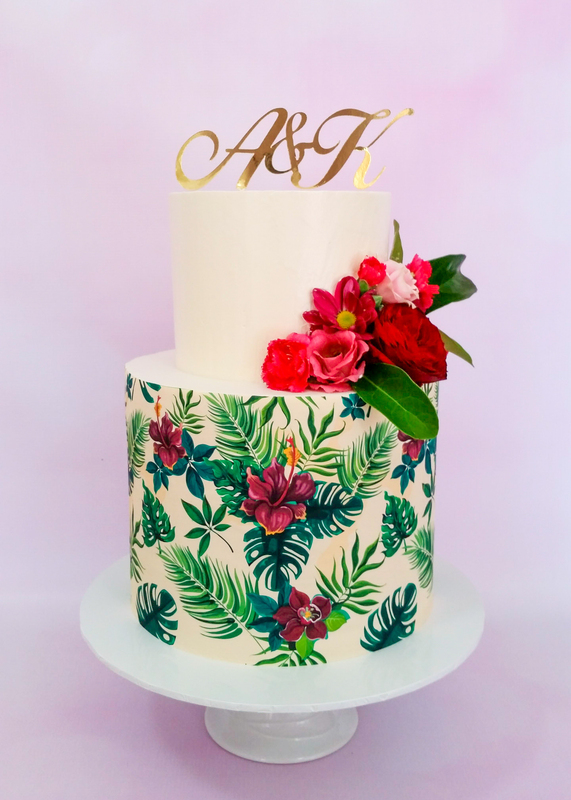 I mean, how can a custom cake from a home baker really come with a $200 price tag when you can head down to the Cheesecake shop and get a party cake for less than $50? I think the best approach to explain this, is to do a bit of a comparison. 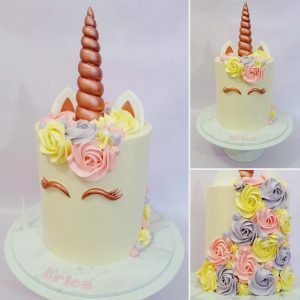 So let’s take the ever-popular unicorn cake as a sample-case – so we can see like-for-like, between other establishments and myself. Cheesecake shop – $140 – double barrel 7″ mudcake decorated with truffle (I’m guessing this ready-made truffle white chocolate ganache product) – serves 20-25. Coles – $25 – doesn’t state what it’s made of or serving size, only that it’s made in the United Kingdom (generally, cakes from Coles/Woolies are 7″) – estimated serves 12-18. Anita of Cake – $170 – 6″ extended height mudcake decorated with vanilla buttercream – serves approx 18. I would need to first go shopping to buy the ingredients (I am a bespoke cakemaker, preferring to bake things fresh and do not bake in bulk) – that’s time and fuel. It would take me about an hour to prepare the mudcake batter and tins, and then a further 1.5 hours of cooking time (electricity isn’t free for me unfortunately). It would take about half an hour to make the buttercream. Like the look of the rainbow rosettes on the unicorn cake? 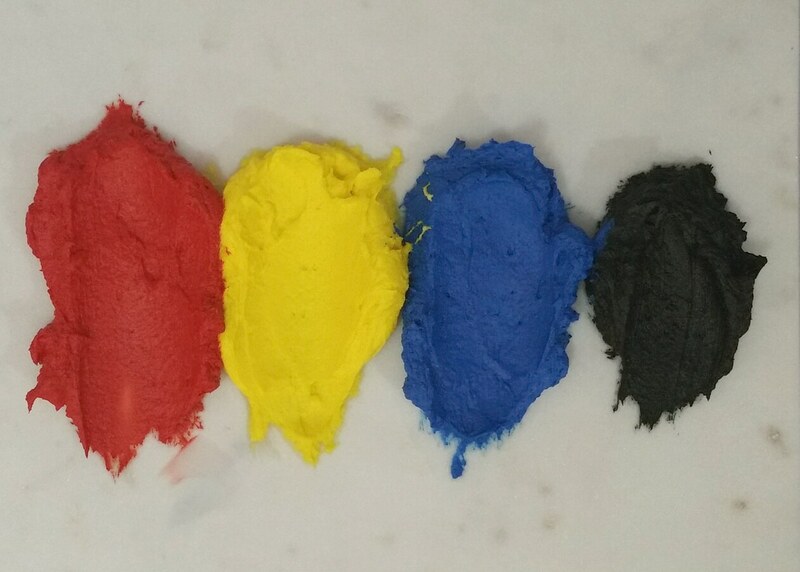 That’s splitting and colouring 6 bowls of buttercream (oh yes, I forgot to include the cost of the 6 colours! Americolor is my fave 🙂 ). For cleanup, you’d be looking at 2 large bowls, 2 medium bowls, a large pot, 7 smaller bowls, 6 spoons, 2 spatulas, a wooden spoon, piping tip, 3x 6″ cake tins, measuring cup and measuring spoons. Anything that can go into the dishwasher does (running it takes water, electricity and detergent), but you’ll find half of those items are not dishwasher safe so I’m cleaning those items by hand. And I’ve just remembered that I’ve forgotten to include cost of baking paper and oil spray (to line the 3 tins), cling wrap (to cover the 3 cakes as well as for the rainbow piping ‘sausage’) and a disposable piping bag (to pipe the rosette mane). Appropriate packaging: I don’t buy bulk packaging, because I don’t have the throughput (only taking on 1 order a week, if that), and I don’t have the space to store it all. 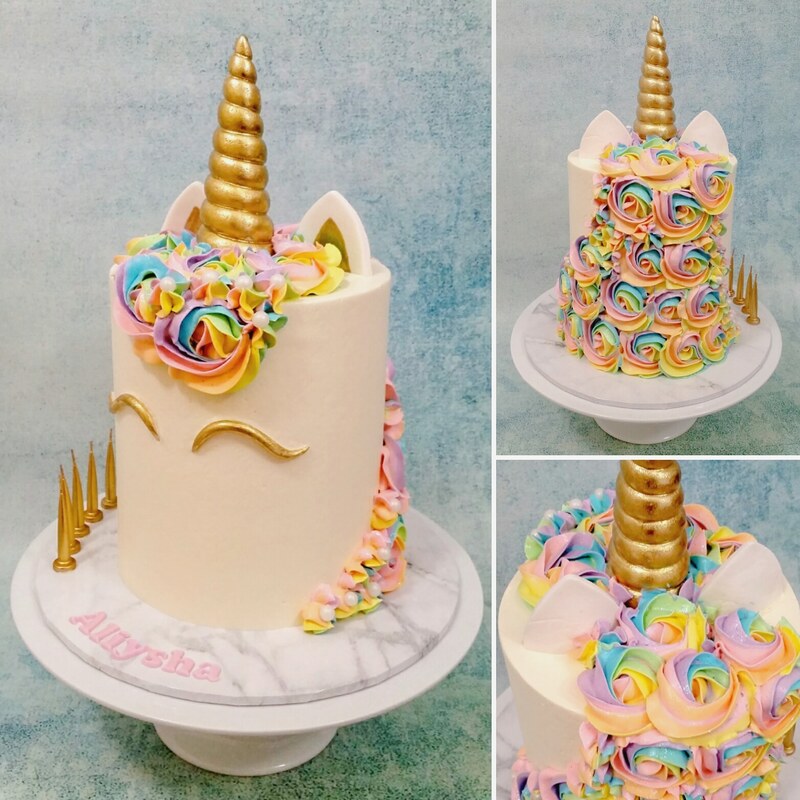 For this unicorn cake, I would be using a tall box ($3.95 exc p&h) and would probably use a white or marbled-look masonite cakeboard ($4.85). Being a tall cake, I would be adding in extra support in the way of dowels (50c) and a middle cakeboard (23c). Naturally, I would be adding my brand label onto the box as well (19c). You’re looking at approximately $10 for packaging. Overheads: This portion of every cake order helps pay for ongoing business expenses, such as home food business registration, insurance, website costs, mobile phone & internet costs, vehicle upkeep (maintenance & registration), background utilities (example running the fridge storing the ingredients/cakes), and new cake decorating tools/equipment when required. At the core of it, if I did not pass on those expenses to the customers, then I would be running my business at a loss. 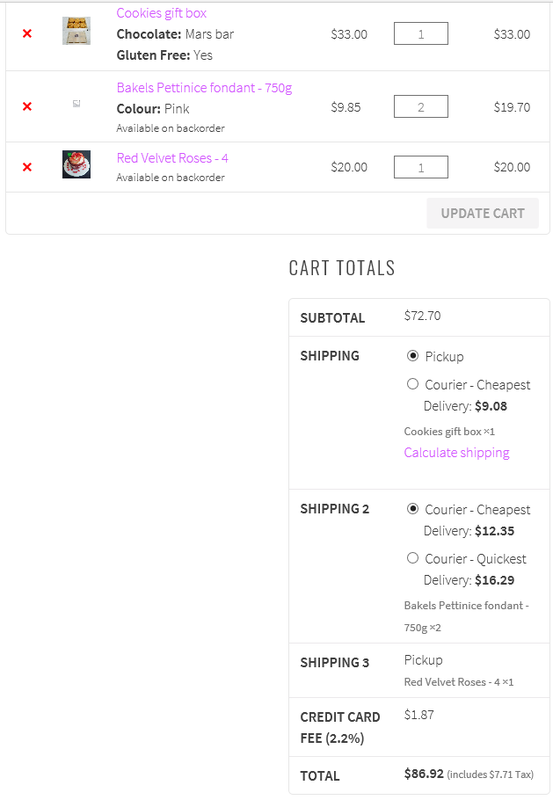 As mentioned previously, I limit orders to 1 a week, meaning that those costs are not able to be spread as thinly across more orders. 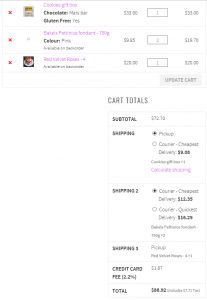 External additional costs: There are certain prices out of my control where I outsource elements, and I generally include these separately onto the invoice. Florals, edible images, toppers, etc. Did you know a small bouquet of florals sets me back $40? Did you know I needed 3x A4 custom edible images to complete this cake? And my driving out to those shops to collect those items – that’s ~40 minutes of driving time only, and fuel to drive ~39km. That pretty much covers the big factors as to why my cakes are more expensive than others. 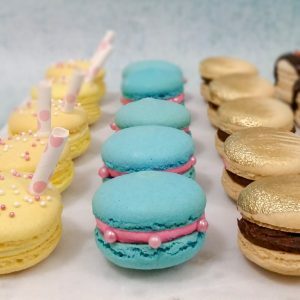 This by no means is meant to suggest that the other offerings are inferior, or that my cakes are better than theirs – it is only meant to give an indication as to why the pricing is different, and why my products are different. I am not able to offer the bulk-produced pricing – I wish I could, so that my offerings were more affordable for everyone. But what I can offer, is a gourmet home-made bespoke cake for your special occasion, customised exactly how you want it. Ordering from me, it is never just a cake – it is an experience. When I was approached earlier in the year and asked whether I would donate to the Sweet Charitea high tea charity event this year, I immediately agreed and blocked the week from availability for other orders. I wanted to be able to focus all my energies into being creative – doing something for me (selfishly), as well as being able to provide something unique for this incredible cause. 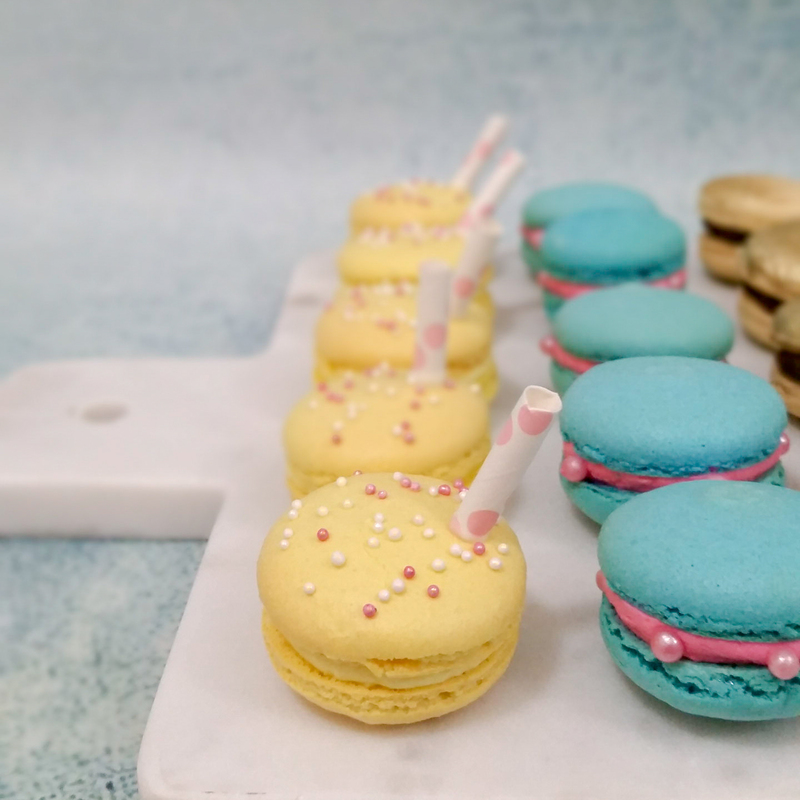 I initially thought I would provide mini tarts – but as the year went on, I started to explore more with making macarons, and thought this would be a fabulous time to play with making more, while doing something good for the cause. Seemed like a win-win decision – so I contacted the organiser and said I would change to donate 100 macarons (for reference – regular macarons go for $3/each here, and mine would be worth $3.50-$4 each being decorated and gourmet. So I felt like I was being generous with this one 🙂 ). The week began just like any other week really. Me preparing my list of to-dos into my diary – and I allocated time each night after work for me to create a batch or two, thinking by the time I got to Friday I should have the 200 shells at the ready to fill and decorate before my son got home from school. Afterall, macarons are best matured for 24-48 hours prior to consumption – so it sounded like a good plan to me. And I had a million other commitments going on for the weekend, so I really needed to have these done by Friday evening. Should be a piece of cake, right? 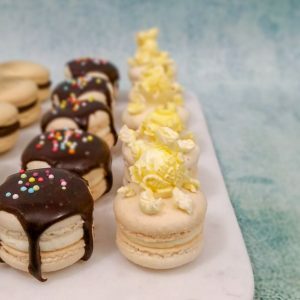 Well, if you’ve ever attempted making macarons, you’ll know that these finicky cookies are anything but predictable. You need to pray and sacrifice your first born to the Mac Gods for them to play nice. Anything from the almond meal/flour being oily, to egg whites not being aged the right amount of time, or even if there’s extra humidity in the environment can all wreak havoc on your otherwise perfect recipe and method. And I’m not sure what happened – but this was not my mac week. My ol’ reliable French method recipe had failed me. Twice. And I was disheartened (OK, not quite this bad lol). Now, just so it doesn’t appear as though this was the miracle cure for everything, I will admit that there were still a few hiccups. Hiccups because every environment is different, and every oven is different. And I’m sure everyone uses different trays, too. Just like usual, these cookies would need to be perfected, by trial and error, based on the symptom. So here is a list of slight changes that I made to the recipe, to make it work for me. 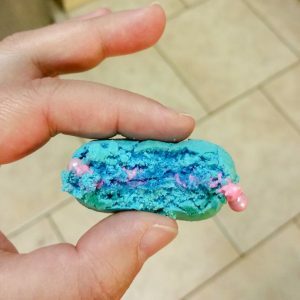 With every batch that I made, it got better and better. 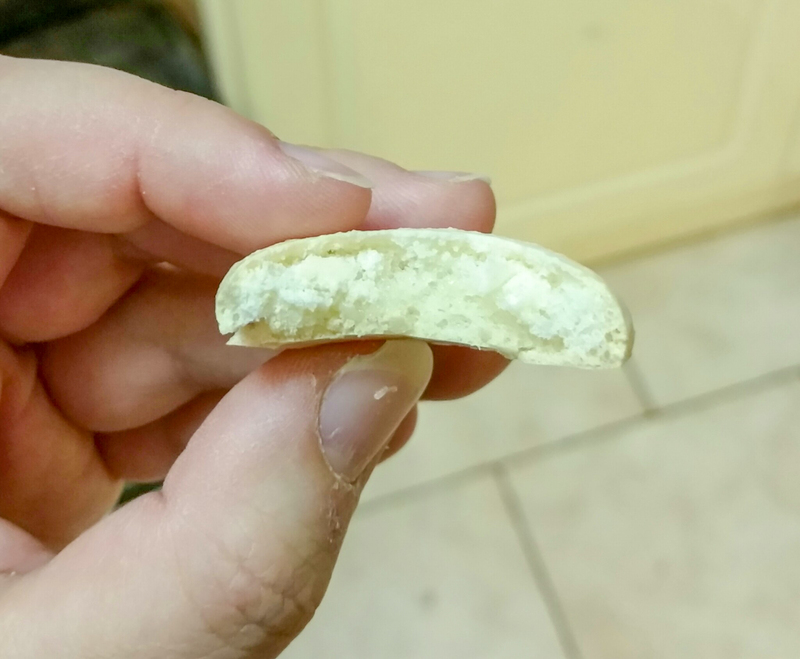 Hollow macs – you’re probably giggling at this, because how did I end up with hollow macs, when the first lot I’d made were full? Well I didn’t pay close enough attention to the temperature of the recipe the first time round and cooked them at about 160 degrees Celsius (fan-forced). The second time I attempted the recipe I followed the instruction of 150 degrees and ended up with hollows. D’oh! Batches thereafter were done by preheating the oven to 160 degrees Celsius, then reducing the temperature dial to 150 degrees when I put the tray in. I would then cook for 7 minutes, rotate the tray and cover the macs with baking paper, and cook for a further 8 minutes (on average the cooking temperature would be about 155-157 degrees, according to my oven thermometer). Cracked tops/small or no feet – I managed to hit a snag with this happening to me on my third batch haha I did because I rushed (all the time pressure by this stage! ), and the recipe said you didn’t need to rest. Well, in my case, I obviously had to. Because they all exploded and had no feet. Disaster. So back I went to my usual resting practice, about 20 minutes, until a skin has formed. Cracked tops on single back row – WTAF I thought I’d sorted the cracked tops thing, but to my dismay I saw that I was still getting cracked tops along the back row while cooking at the 160 degrees temp. And then sitting there, drinking my Earl Grey with a few tears and beads of stress-sweat, I figured it out – fan-forced has its heating element at the rear of my oven. 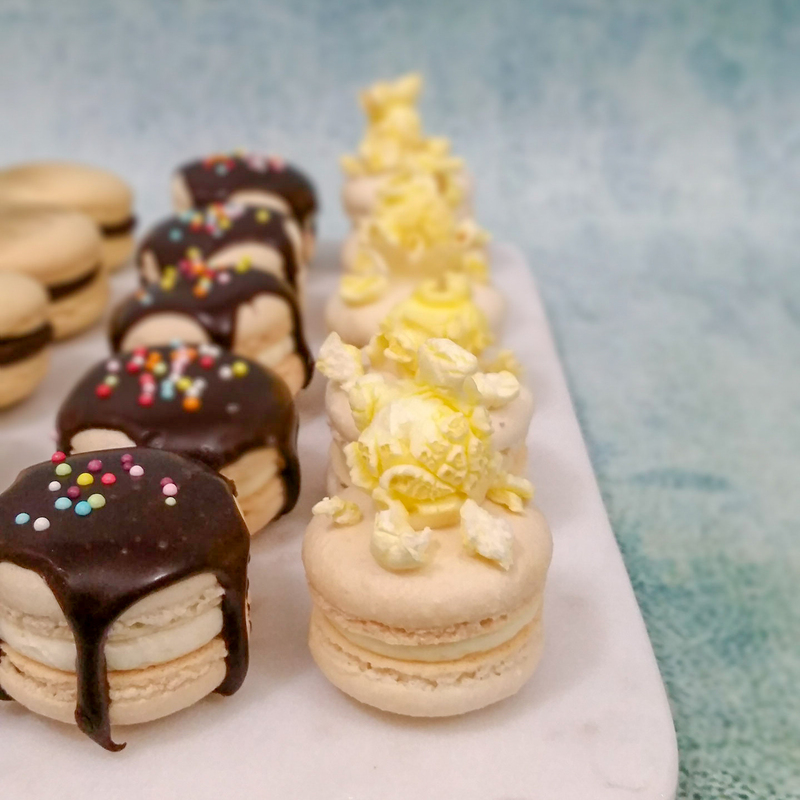 Right where the macarons were cooking and exploding. 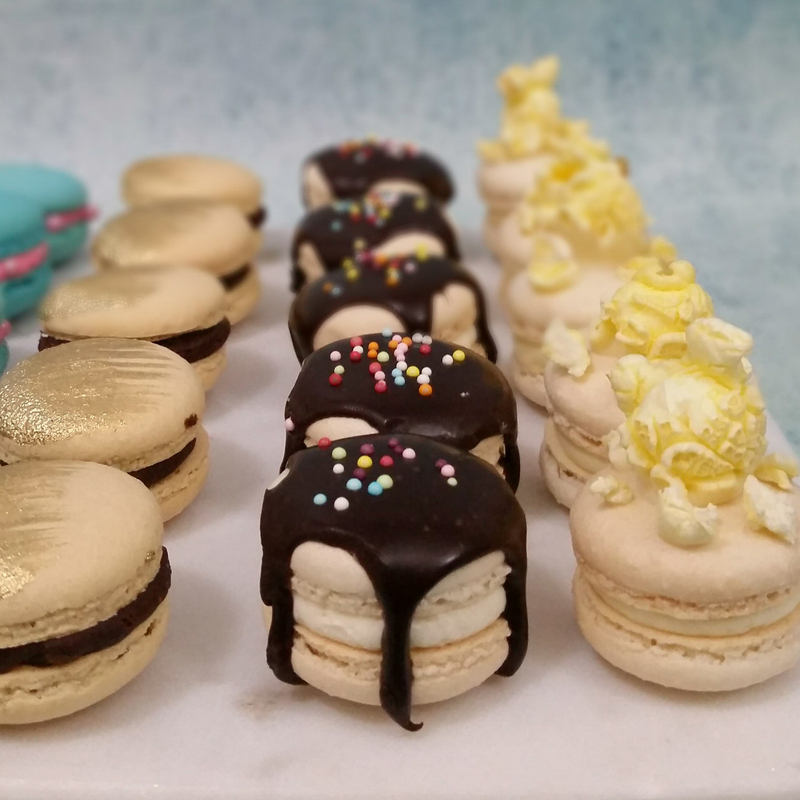 Uh ohs… so all I could come up with was to use a smaller tray, one that could be brought forward enough and away from the rear element (well either that, or just don’t pipe out the back row of macarons). In my rush to ensure I troubleshoot this issue quickly, I also decided to go with a smaller tray that also had a rim to further protect it from direct heat, start using baking paper so I could save time not having to clean my silicon mats, and just in case it would help at all with reducing the heat factor, I even double trayed it (ie nested it into another tray of same size). Smooth tops – I finally had the method down and they were cooking beautifully – but they still didn’t have the perfectly smooth tops that I would be seeing with the French method. After some research, I discovered that this was quite common with the Swiss method. Because it develops a firm, stable meringue (pro: no hollows woo! ), the batter itself doesn’t completely meld into itself when it’s piped (con 🙁 ). The solution is to rap the trays. Hard. Multiple times. Yes, if I’d bang the tray this hard with French macaron batter, they would be pancakes and completely misshapen. But this is NOT. THE. SAME! I kept telling myself that as I rapped the tray 3x on each edge, so hard my poor corgi leapt from her bed in utter fear (note to self: get Pep to leave room before rapping tray in future lol). The action gets the tops to smooth down, and you can continue with the toothpick trick of smoothing the popped air bubbles on the surface. Exciting news happens so often and I usually forget to blog about it (not intentional – just time-poor 🙁 ). 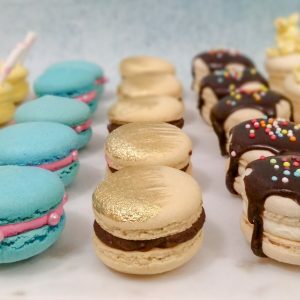 But I must write about this one – I will be teaching classes at the new and upcoming cake decorating supply shop in Tuggeranong – Across The Board Cake Decorating Supplies! 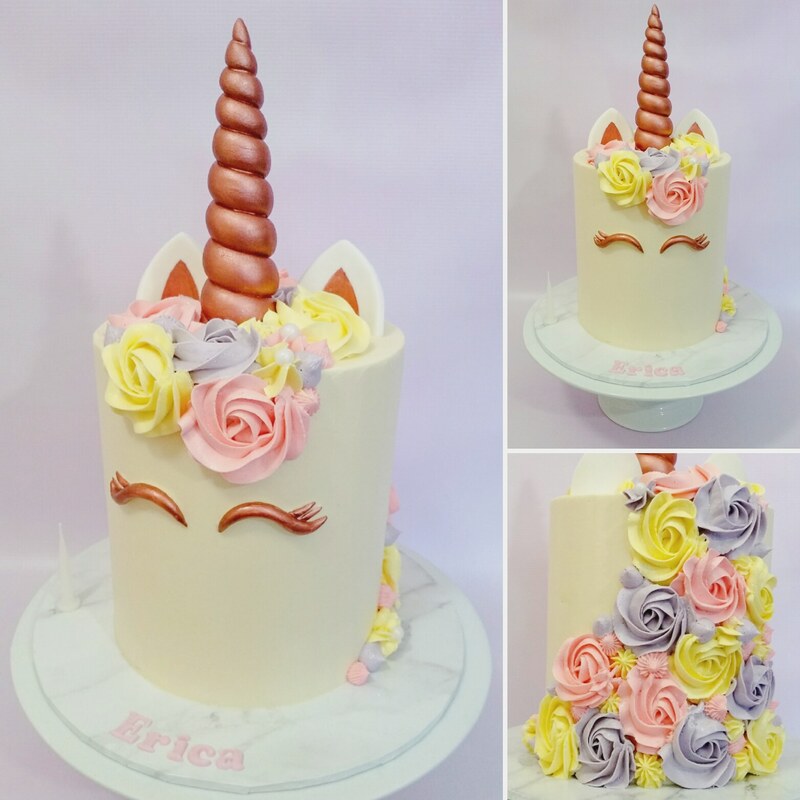 If you’re interested in enrolling into one of the classes and learning some of the techniques I use in creating cakes, you can book via the Classes page on the website.